Jesus The Radical Pastor: Move over, Dirk Pitt. Sylvie's Here! 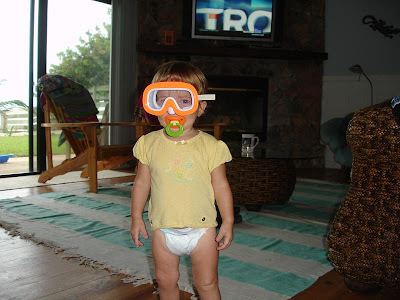 Sylvie is ready to dive! Our daughter, Leah, and her family are vacationing in Florida. Her husband, Andy, and the kids, Jackson, Trevor and Sylvia are having fun on the beach. Andy's brother, Mike, and his family are there, too, sharing a rented house on the ocean front. Google the name! You don't know Dirk Pitt? ?